Hello Gardeners, I’m Amanda McNulty with Clemson Extension and Making It Grow. Kaolin clay is a nuisance in garden soil; unlike red clay, it’s basically inert, low in electrical charges that hold nutrients and water, and is even more gluey and sticky if you can image that. However, it has a several uses for commercial growers and home gardeners. When kaolin clay is sprayed on plants, it forms a barrier, coating the leaves and fruits with a white film which protects them from damage by certain insects, including thrips and other leaf and fruit eating pests. This happens because it changes the color of the leaves – a strong attractant for insects – and it’s unpleasant to them when they try to feed. Many tomato growers spray kaolin on their crops early in the season to protect their plants from thrips – the insects which are vectors for the dreaded tomato spotted wilt virus. 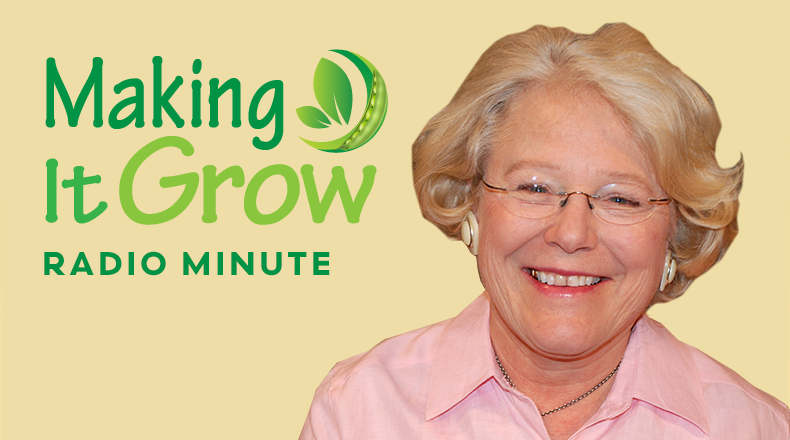 Listen to the story... Making It Grow Minutes are produced by South Carolina Public Radio, in partnership with Clemson University's Extension Service.